David Clapp finds out how easy it is to start your own stock library with Stockbox Photo. Have you ever tried shooting stock? Perhaps you like to keep your photography intimate and localised, or perhaps you fancy the concept of building an enviable image empire? Either way, it doesn’t have to mean an incredibly laborious experience, it can be neat, straightforward and simple, if you implement it correctly from the start. Imagine limitless access for your clients to an expanding and enviable back catalogue. Think about how incredible that could be. For some shooters, the complication of image cataloguing, keywording and data managing is an unbelievable turn off. Too far down the road, the concept can be so creatively destructive that the thought of restructuring a disorganised library is enough of a task to start the eyes rolling. The idea of putting everything online, away from the glamour format of the cherry picked portfolio, seems utterly impossible. Yet for professionals like myself, there seems to be a point where it all begins to make perfect commercial sense. As a semi-professional pushes towards the professional arena, dawn breaks quite early. Not everyone wants images of roasting sunrises over Scottish mountains. In fact very few people do. What represents your best work and what is commercially attractive are often separate entities. Different clients have entirely different requirements, so rather than choosing for them, it becomes best for them to choose for themselves. I personally cannot quantify the amount of hours I have wasted making selection disks of new material, addressing envelopes, making trips to the post office, all to do what an online library could do for me while I was doing something creative. The idea of having my own stock library made perfect sense and I think I've found the ideal product. I had been looking around at Stockbox Photo for at least a year before I dived in. After a planned expansion of my website, the concept of a stock library was top of the list to include. One month of relentless work with designer Chris Davies, brought this to fruition. Adrian, at SBP had a few emails from me as I tried to choose the package and after a few lengthy phone calls to his office in Canada, I bought the Enterprise package, as it suited the site expansion perfectly. Stockbox is a software package installed on your webspace, running separately from the rest of your sites infrastructure. It consists of a front end (the library itself) and a back end, where the photographer logs in and manages the image data. Stockbox can install all the components for you or if you are computer and web literate, the task can be undertaken yourself. After a trip or project is complete, my work is processed and archived. These archive images are then captioned and keyworded using Photomechanic and Adobe Bridge before any come to the surface, in either my portfolio or my stock library. This has to be super accurate, descriptive and inventive, so unfortunately it’s slow and laborious work. I don’t just do this for myself, it is also for the agencies I work for too. Do not be put off by this, perhaps your own keywording could be far simpler and less time consuming than mine. Once completed the archive images are then turned into stock images, 650px (longest side) jpegs, by running multiple Photoshop actions across the entire project folder. After logging into the back end, I head straight to the Manager. I create a new sub category, let’s say ‘Santorini’ and then head to the uploader. The Enterprise version allows batch uploading of an entire folder at once, which makes it utter joy as lesser versions require a single image upload only. The interface is a little basic, but it does the job perfectly well. Under the bonnet, SBP is reading and storing all the data it finds in the uploaded images and placing this in a database. It is also making another sub folder and generating thumbnails, with prefixes added to the same file names. Now it’s a case of adding the pictures and they are there in the library, ready for clients to browse. This is where all that hard effort keywording starts to pay off. In the top right of the Basic Search, click on the Advanced Search for some seriously killer functions. 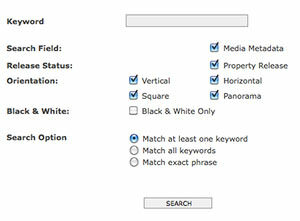 Search orientations include black and white, panoramas. Include or exclude words, or match exact phrases. It’s a very powerful tool to say the least. The searches not only search the keywords, but also the descriptions and file names too. This means results could seem a little strange at first, but the power this gives the client is exceptional. Search engines on agency websites have been known to only search the keywords, ignoring the descriptions, so I was very pleased to discover that this was not the case with SBP. One of the most incredible things about SBP is the sheer speed that it performs and displays searches. It is lightning fast! This makes it a very positive user experience to say the least. My clients have been extremely happy with the versatility, as it saves trawling slow sites looking for content. As I have added photographic tools and other photography keywords (like polariser, cover shot etc) this makes my media clients extremely happy. It is possible to license types to your images, just like a major stock library. All my images are rights managed, but it is possible to add Royalty Free or even combinations of these license types. Searches can be made around these licenses too. Setting up Stockbox to manage products, like print sales, is extremely easy. It can also be used for instant pricing and downloads, but my business does not need this feature yet. 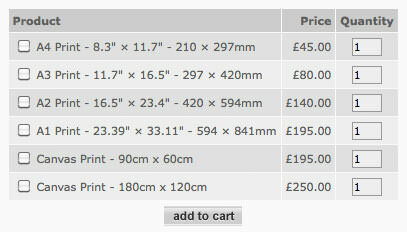 Images can be assigned product types ie A3, A2 print sizes and costs attributed accordingly. Then perhaps choose a mount or frame as part of the pricing structure too. All basic stuff, but it doesn’t stop there. 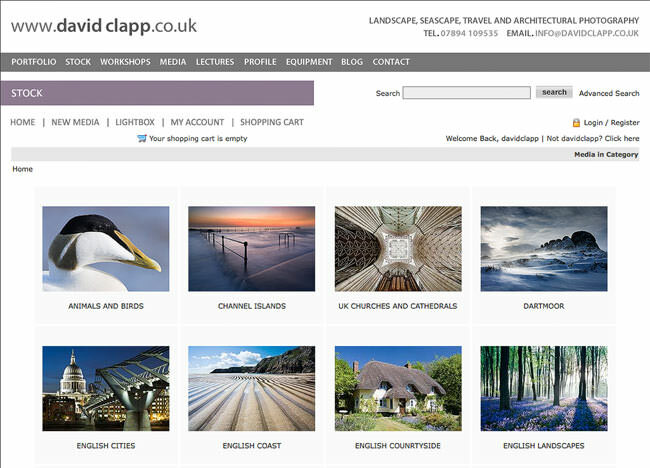 Fields can be added or removed for individual images (lets say panoramic print sizes) which make SBP highly versatile. Add other products too, they don’t have to be images or relate to the stock library. SBP supports all manner of payment options too, like Paypal and a host of others. As your sales build, so does the information. SBP collects all the information from logins and transactions and places this all into a database. Emails from customers and users are collect, so mail shots can be made. 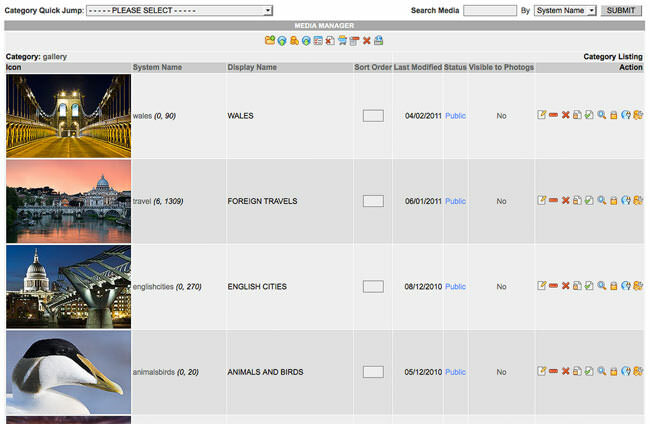 SBP has an email function built in, so if new products or images are added, all registered users and customers can notified. This type of marketing can be very powerful. Why go it alone? Why not start an actual stock library of your own. With the enterprise version, it is possible to add other photographers! 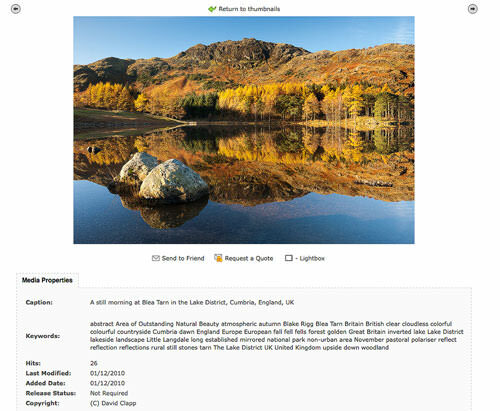 Once registered, they can submit work for selection, adding their images as well as your own on your site. Commission fees can be set as well as individual pricing. As my site builds with my own content, I am very excited about this idea in particular. I never wanted this to be a solo voyage, so the prospect of adding other genres and styles of photography into my library will only establish if further. SBP have excellent user support. Based on ticket submissions, the user adds a question and a response is notified by email. All manner of complicated questions get answered in less the 24hrs and I am very pleased with the level lof support also. Stockbox offer a full integration and customisation service with your own website, so the software integrates seamlessly with the layout and graphics. They do charge a fee for this additional work, but it is worth the cost as the software looks perfect. As with Photoshop and other software, there will always be certain aspects that don’t gel as well as you have hoped. The biggest problems I have found relate to the myriad of navigation icons that accompany pages in the SBP back end. Learning where they direct is a little complex but as computer monitors have got increasingly larger, so the SBP icons seem somewhat drowned, especially on my 26” monitor. They often seem somewhat incomprehensive and this can cause frustration when ‘learning the ropes’. Field blanking and resetting occurs which can raise the blood pressure. When a field is filled in, like username and password incorrectly, both are blanked and require typed resubmission. This also happens in the search fields within the back end, but I am sure this will be sorted in future releases. Stockbox is a ridiculously powerful tool. Expect a steep learning curve after purchase as software takes a lot of familiarisation and setting up. It will take a while to learn it intuitively, but the team are there to help. Despite a few complications that I am now getting used to, I cannot recommend it enough. I do believe that at some stage a rethink of the backend interface is needed to bring it up to speed. It can seem a little ‘programmed’ rather than designed, but remember this is a small business making a niche product, not Adobe or Apple with its stratospheric R&D budget. The product stability is rock solid, fast and incorporates more than I will ever need, perfect for an expanding photo business. Words and images by David Clapp. Visit Stockbox Photo for more information. What Is Samsung Speak Pictures?